The Government Communication Affairs Office has urged OLF to disarm its remaining fighters. 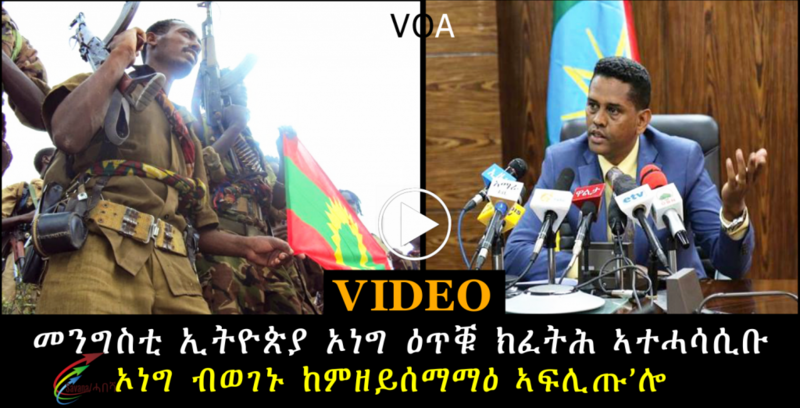 The Government Communication Affairs Office (GCAO) has urged the Oromo Liberation Front (OLF) to disarm its remaining fighters. The Front had returned home after disarming about 1,300 of its soldiers, said Kassahun Gofe, State Minister of GCAO. It should also disarm its remaining fighters, he added. According to the State Minister, the government will disarm them if the Front fails to do so. In a recent interview with local media, OLF Chairman, Dawud Ibsa, said the Front hadn’t negotiated with the government to disarm its fighters. The State Minister said OLF had returned home after disarming about 1,300 of its fighters and they have been pursuing training at Tolay military camp. It returned home to engage in peaceful political activities following three-rounds of negotiation held in Asmara, Eritrea, he said. According to him, the idea of disarmament was not raised during the deal as it was not part of the negotiation. However, “The issue of disarmament will not be tabled for negotiation and is a red line,” he said. In order to ensure the wellbeing of its citizens and protect the constitutional order, the government will disarm the fighters if the Front fails to do so, the State Minister noted.